The lambs are off to market soon, so we have got everything prepared, ready for them to go. The first stage is separating them from their mothers. I’m not sure what the English term for this is, but we call it a’ togail in Gaelic, lifting them from their mothers. We don’t have any pens on the croft big enough to take all the stock at the same time, so we walked them all out to the village fank. This was quite straightforward, as the ewes know where they are going and need little guidance. Once out there, we split the sheep & lambs, before deciding which lambs we are keeping for ourselves. I always want to keep more, my father ends up persuading me otherwise. These are the lucky ones, a mix of ewe lambs and muilt (castrated males for the freezer, next year), who will be staying with us. 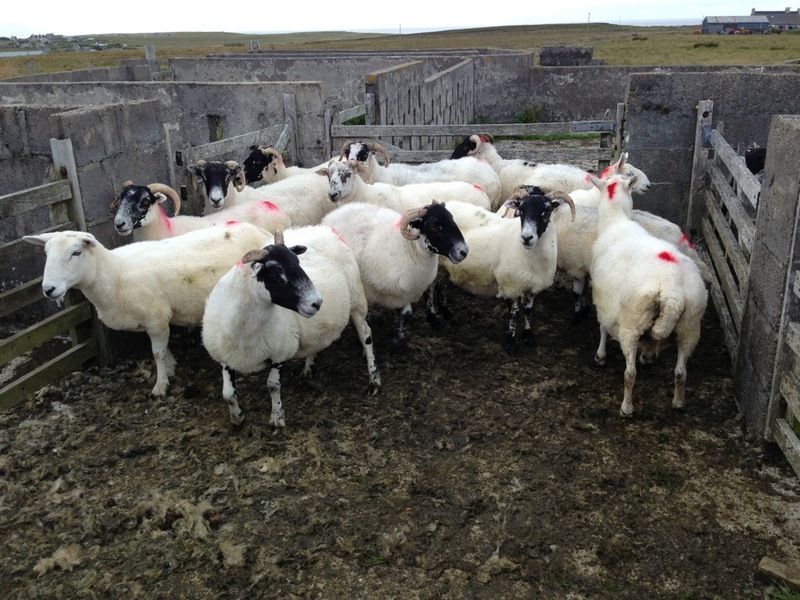 I’ve kept Cheviots for breeding, along with a couple of Blackface/Suffolk crosses. We’ll see how they get on. The next job is checking the ewes and deciding which ones have to go. I am sending 15 cast ewes away this year, older sheep that aren’t worth keeping any more, and would probably cause difficulties over the winter. It’s probably the part I hate the most; sending away animals that have served you well over the past few years. I really don’t like it, but there is little economical sense in keeping them. 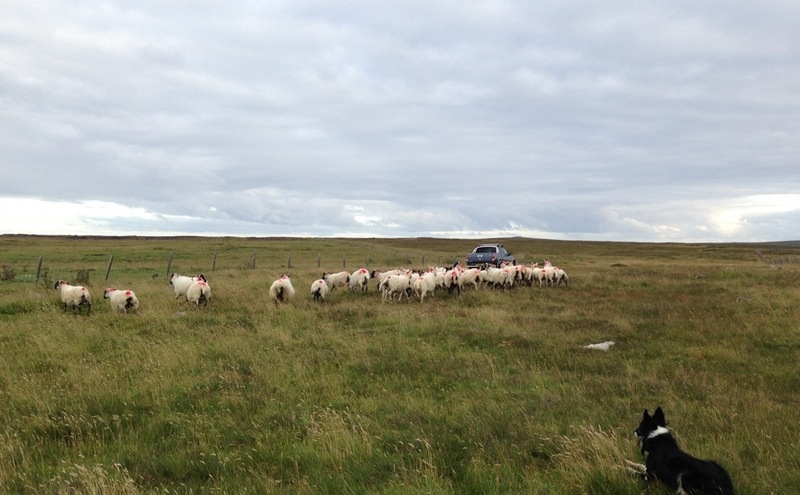 The 40-odd breeding ewes were then sent out to the reseeding for the next week or so. The ewes & lambs call out to each other for the first day or two, so it’s best to keep them a fair distance apart. The lambs come home and the sheep are on the moor. That’s it all done then. 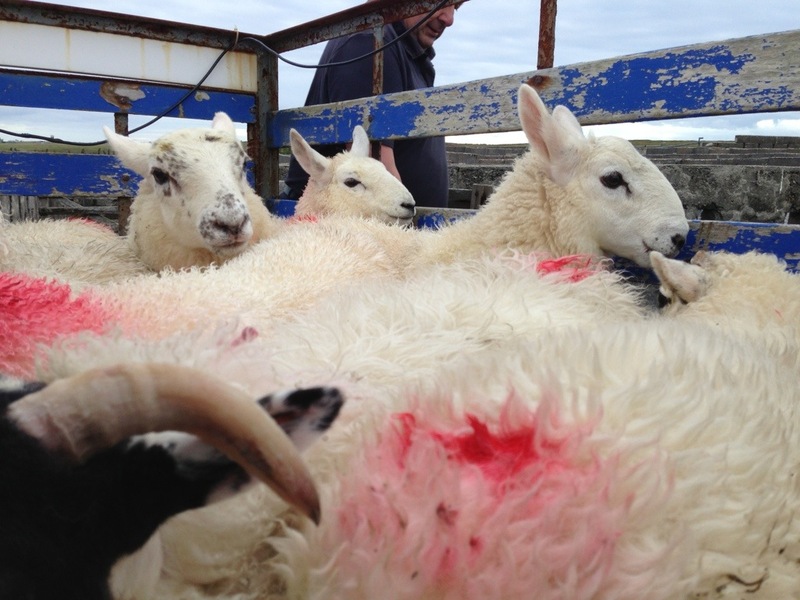 The lambs & cast ewes will be going a week Monday (26th), for sale in Dingwall the following Wednesday. They’re in a field about 1/2 a mile from the fank (where they’ll be picked up), so it will just be a case of walking them out there first thing Monday morning – and then wait for my cheque. The only problem after all this is trying to get clean again! 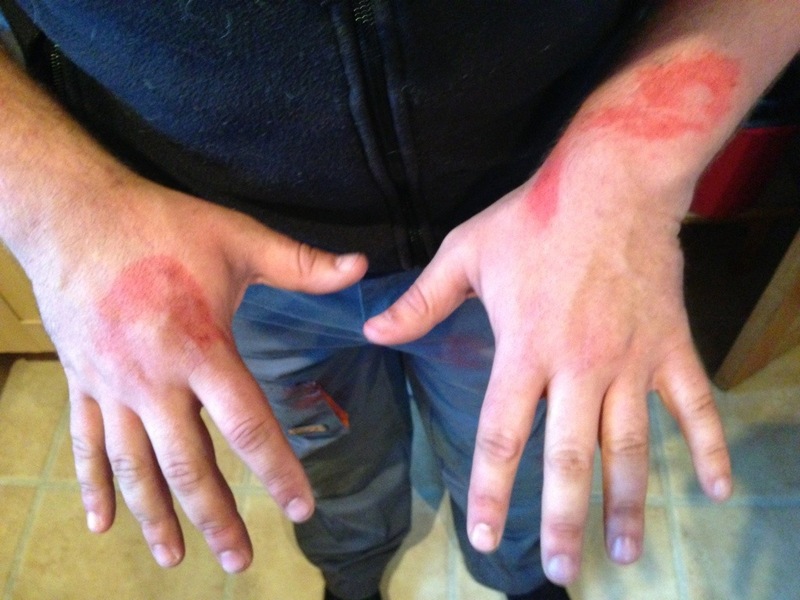 All the lambs are marked with paint – and I still haven’t got it all off my hands 36 hours later! I’ve been away for the best part of 2 weeks. I was filming at the Scottish National Sheepdog trial last week and then headed south to Wembley, to cheer on Scotland. What a trip, but leaves a lot to catch up with at home! 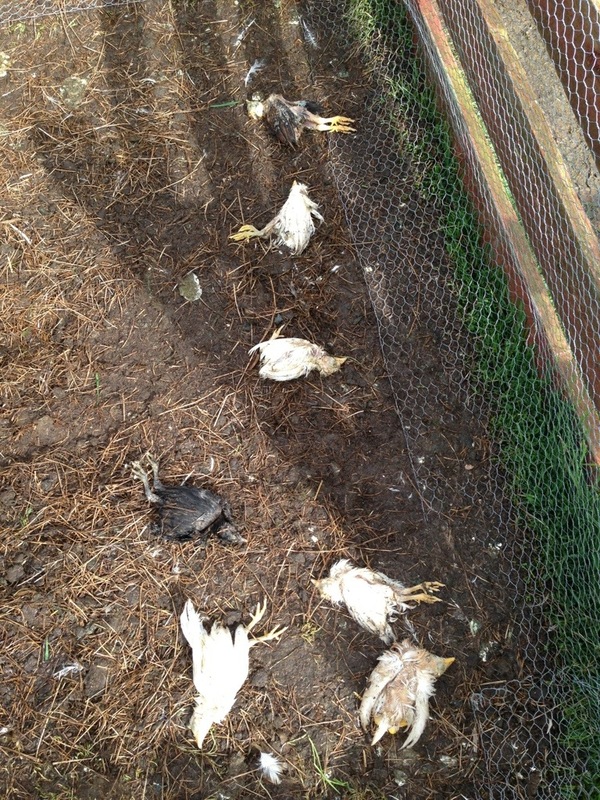 My brother, Innes, was keeping an eye on things while I was away (only one chick and one pullet died on him this time!!! 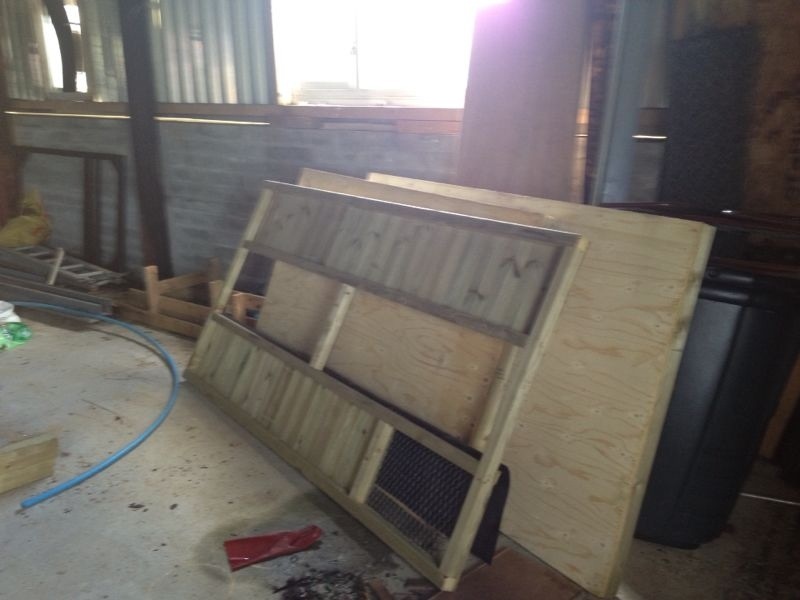 ), this included supervising delivery of my new hen house. It comes in sections, so I’m going to have to put it together myself. Innes is away to work in Cambridge for a year, at the end of the week, so we’re going to have to try and squeeze in a few hours work on this ASAP. 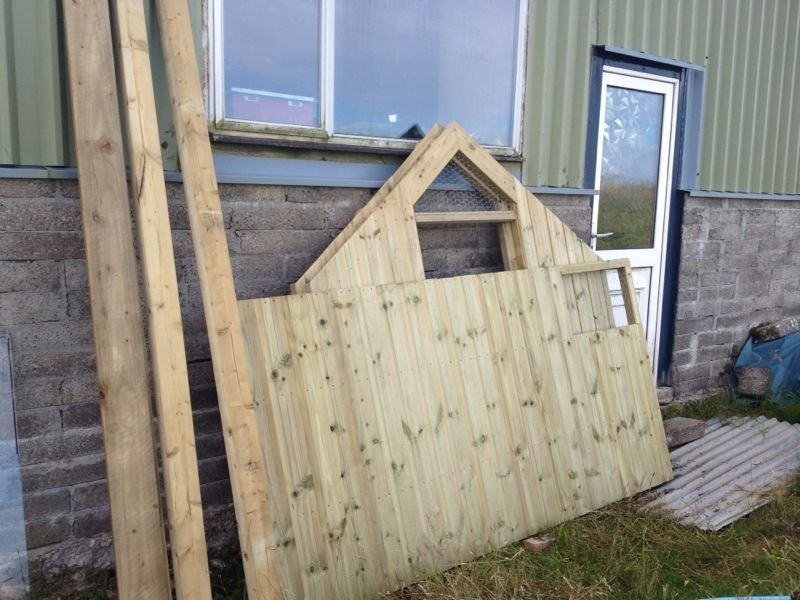 I had hoped to get it done yesterday (Saturday) but we had a gale here, probably 50-60mph, so it wouldn’t have been crazy to try and handle all these panels in that. 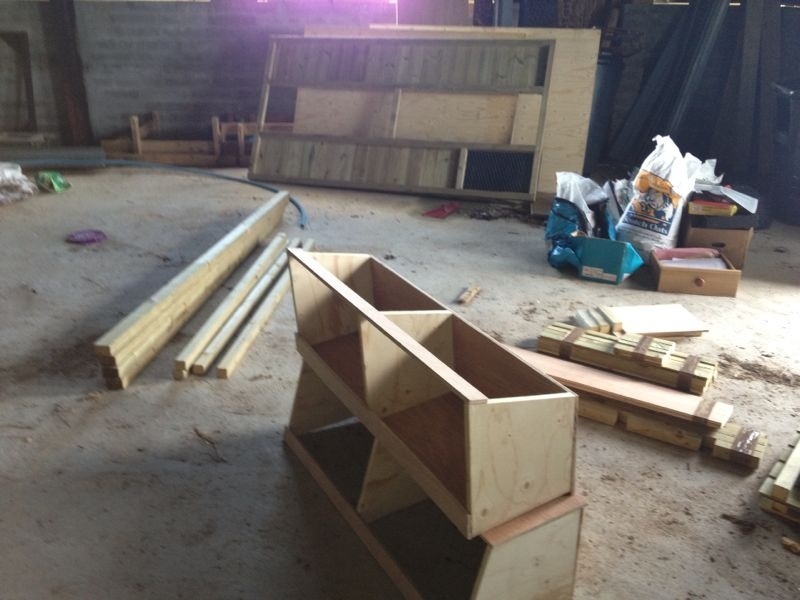 There are loads of fiddly pieces inside as well – I just hope there are instructions for it all!! 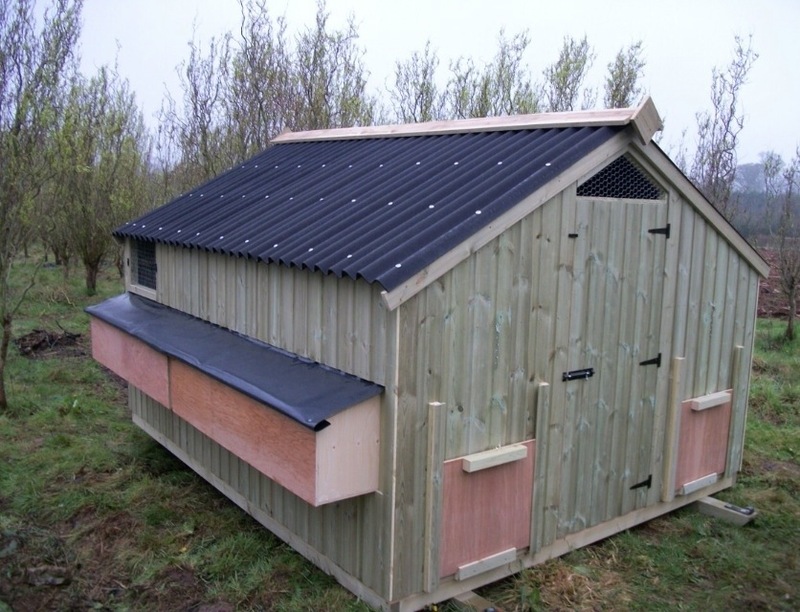 Back in May I ordered and paid deposit on a new hen house. This is now ready and I’ve paid the remainder of the bill. It has been dispatched to me and should be here on Friday. I’m away tomorrow for 10 days (filming sheepdogs and a wee holiday), so Innes is in charge in my absence, and will be responsible for the delivery. Fingers crossed it goes in the right place! It’s coming in sections, so we’ll have fun putting it together on my return. Next step is a fence for the chickens, I’m loosing too many eggs in the long grass and need to keep better control of things. Hopefully there will be some not-so-ugly ducklings here soon. One of my Khaki-Campbell Ducks has been sitting on some eggs for 10+ days now. She went for a drink of water just now, so I took the chance to take a pic of the nest. It’s a local holiday here, so myself and my father were off, giving us the chance to catch up on some odd jobs. First up we packed away the wool. The sheep were shorn about a month ago and the bags of wool have been sitting in the barn since then. 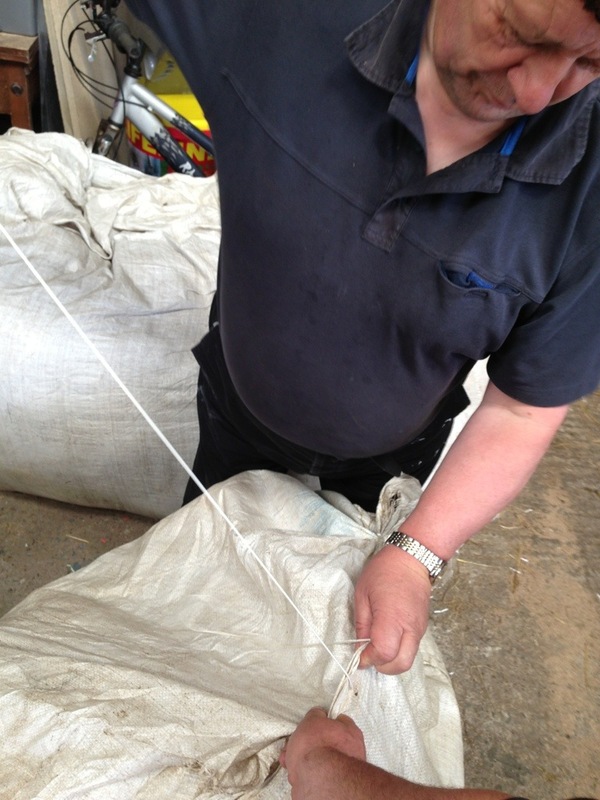 They are picked up by Hebrides Haulage in August, so we sewed the bags shut, ready for that. 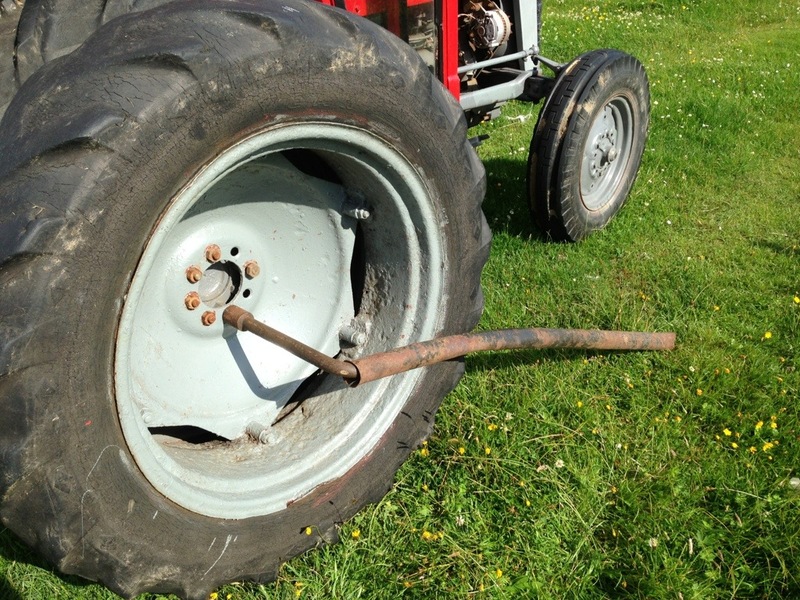 The other job was to remove the doubles from the tractor. The doubles are on to help spread the weight when out on the moor taking home the peats. All the peats are home now, so doubles no longer needed. This is man-sized tyre changing! What a horrible day. 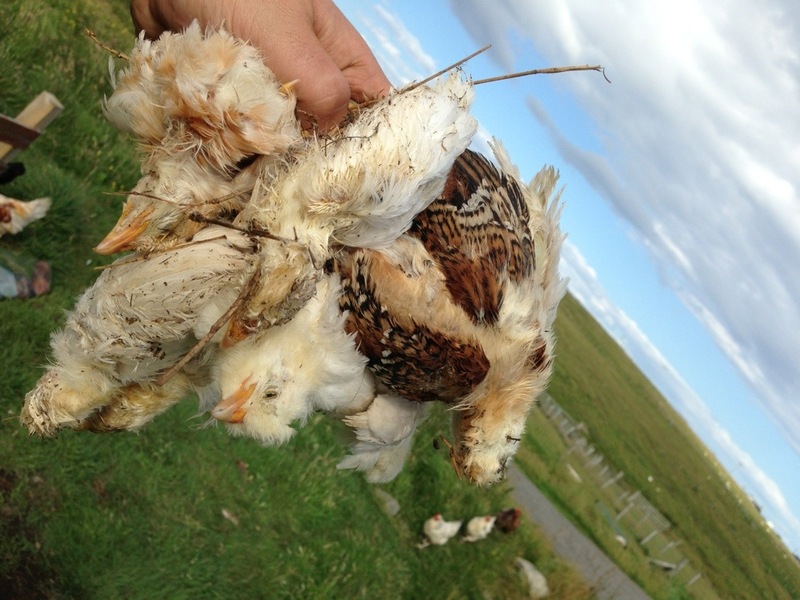 So first thing this morning, 7 of the 10 chicks were dead – the other 3 didn’t last very long either. Still none the wiser as to cause but suspect the heavy rain was to blame. Maybe they didn’t shelter as they should have. 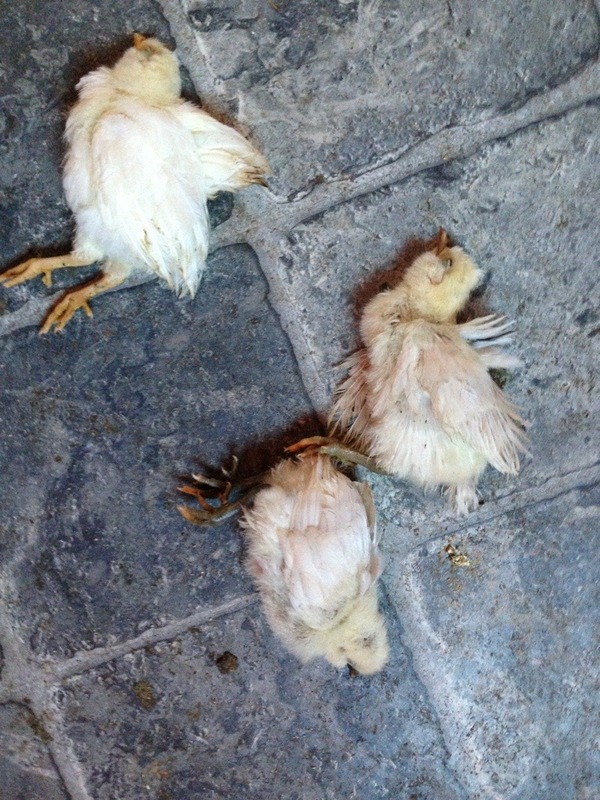 All I know is that I had to deal with 10 dead chicks. What a horrible start to my 2 week holiday. 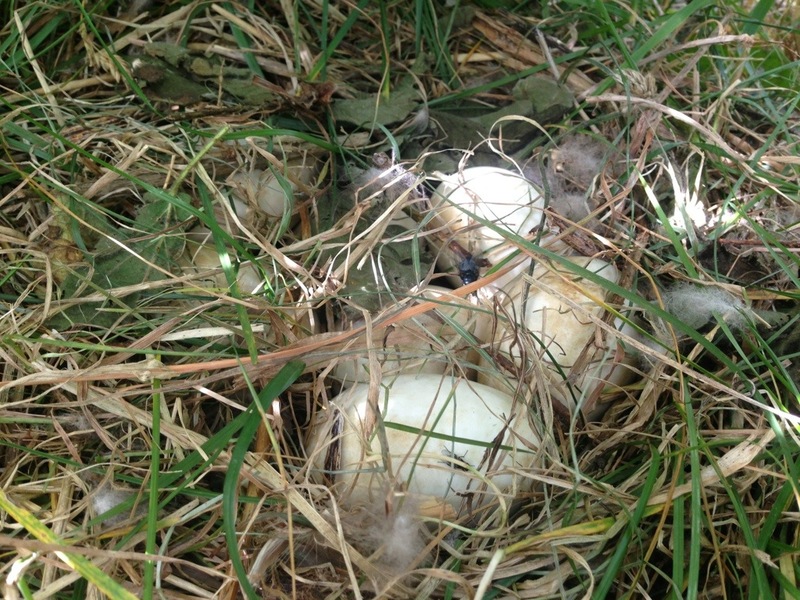 I went out to feed & water the 3 week old chicks and 7 of the 10 were dead in their run – they were fine yesterday. I have no idea what caused it but 2 of the survivors appear to be on their last legs too. It doesn’t appear to be the hen attacking them, as they have no marks on them, and no vermin or other birds could have got into the run.